The Best Ultraman show ever. i like this show because its the only ultraman show that have many moments that i like.Gai origin is my favourite ultraman orb ever in my life.yesssssssssssssssssssssssssssssssssssssssssssssssssssssssssssssssssssssssssssssssssssssssssssssssssssssssss. What can I say? The effects are beautiful, the characters are likeable and Orb himself is a very interesting Ultra. Although I'm not a fan of the fusion cards since they're just another gimmick to sell toys, the fusions themselves actually look very nice. I grew up Ultraman and from the last three failures that were Ginga, Ginga S, and X...Orb was enjoyable to say the very least. It improves in most of the areas where the last three tanked at like story, Main lead, Rival characters, Ultra's design, Deep tones. The story was more serious compared to the last 3 and written well. Gai and Juggler are both great Characters. The prequel stories are great too like Orb THE ORIGIN SAGA. Yet there are still spaces it needed improve on like Camera Movement is still shaky, Effects are still bland but a bit better but still bland, lighting is off somethings and sky gets too grey, Gimmicks(Ultra-Gimmicks aren't interesting), Attack team(lacking, VTL isn't great), main support characters (Naomi, Jetta, Shin, and Shibukawa) are uninteresting. 2016 is the 50th anniversary of the Ultraman franchise and Ultraman Orb marks a step in the right direction. Tsuburaya could have went super gimmicky with the Bandai toys for the anniversary series, but the "gimmick" of combining two different Ultraman powers to defeat certain enemies actually works and doesn't feel distracting. Also, it is nice to have a protagonist that audiences can relate to. Gai isn't perfect, nor is he super pure, but he has heart and that's what makes him (and others) so likable. It also helps that he, along with the rest of the characters, develop quite well over the course of the series. 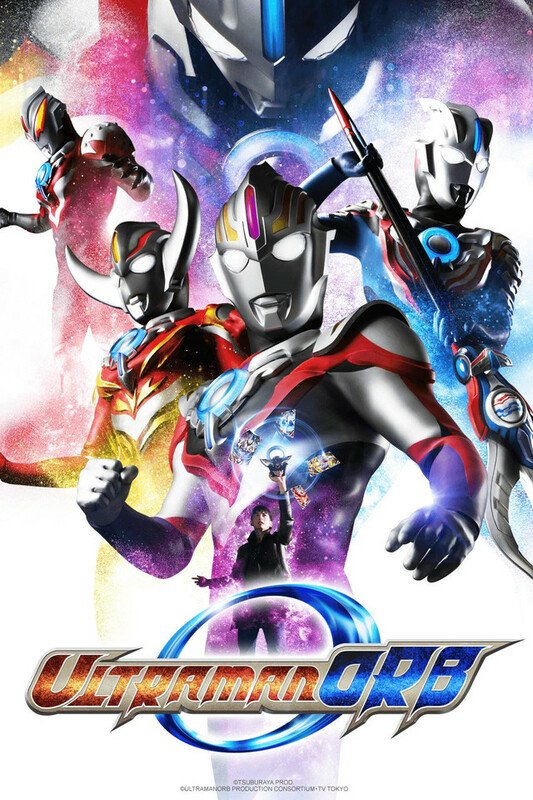 With simple (by today's standards) yet effective action scenes, likable characters who are developed properly, and a simple storyline, I highly recommend Ultraman Orb.